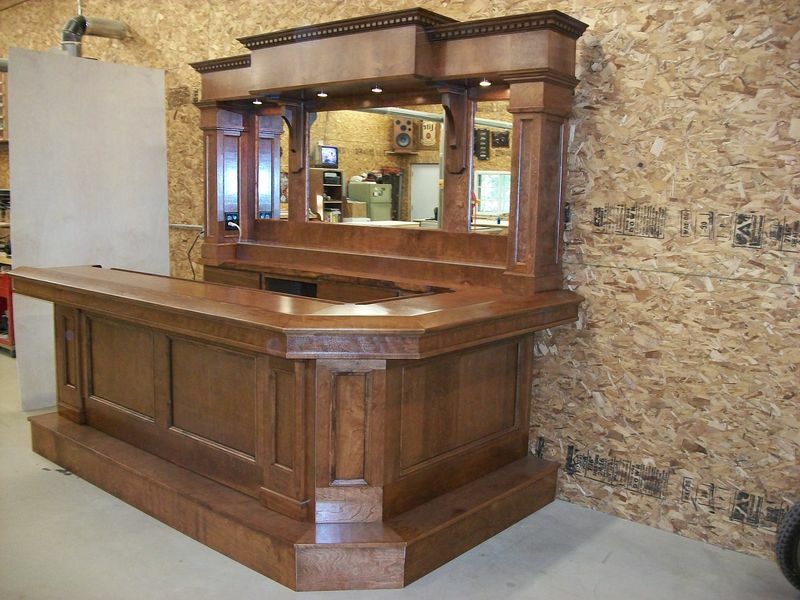 Basic custom bar package prices start at $3900.00. That includes back bar 8'x8' with cabinets, mirrors and lights. Front main counter solid wood surface 8'x42" panel wall with foot step. This is a custom standard bar outfit. You can order basic package or make changes to size ,style, cabinets to fit your preference. 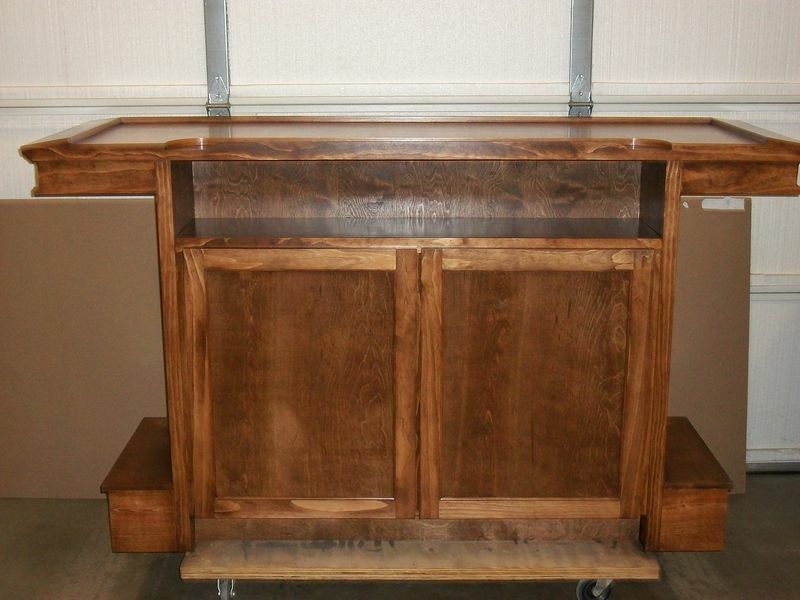 Basic package dimensions start at 8'L X 42"Tall bar counter. Back will be 8'W X 8'L with 12" deep cabinets. Allow three to four weeks for delivery. This is a movable bar counter with cabinet behind it. Great for patio parties or limited space. Standard movable bar starts at $1200.00. Dimensions are 6'wide x 42" tall x 10" deep.